Craig B. Thompson, MD, has been named the new President and Chief Executive Officer of Memorial Sloan Kettering Cancer Center effective November 2, 2010. His appointment concludes a search that began in January 2010. He succeeds Harold Varmus, MD, who left Memorial Sloan Kettering in July 2010 and is now director of the National Cancer Institute. Dr. Thompson, 57, a renowned cancer researcher and clinician, has served since 2006 as Director of the Abramson Cancer Center at the University of Pennsylvania and Associate Vice President for Cancer Services of the University of Pennsylvania Health System. Craig Thompson is an exemplary physician-scientist, educator, and academic leader. This breadth of expertise will serve MSKCC well as he helps to guide our institution into the next decade. As director of the Abramson Cancer Center, Dr. Thompson oversaw the work of several hundred cancer researchers as well as more than 300 full-time physicians and faculty across the University of Pennsylvania Health System involved in cancer prevention, diagnosis, and treatment. During his tenure, his accomplishments included the opening of a new multidisciplinary cancer outpatient facility; the development of the first proton therapy center in the Mid-Atlantic region; and the expansion of Abramson’s translational research effort. Dr. Thompson’s current research focuses on the role that metabolic changes play in the origin and progression of cancer. He has also done pioneering research on the genes that control programmed cell death and how the misregulation of such genes can contribute to cancer. In earlier work he contributed to the development of innovative treatments for autoimmune diseases and leukemia. 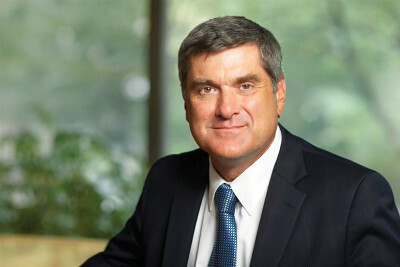 In 1999, Craig Thompson joined the University of Pennsylvania as the founding scientific director of the Abramson Family Cancer Research Institute (the basic science arm of the Abramson Cancer Center), the University’s first chair of the Department of Cancer Biology, and a professor of medicine. Dr. Thompson attended Dartmouth College and completed his studies at Dartmouth Medical School. He received his MD degree from the University of Pennsylvania in 1977 and completed his residency at Harvard’s Peter Bent Brigham Hospital in 1979. Following his residency, he spent two years as a senior resident at Boston University while serving as a medical officer in the US Navy assigned to the Naval Blood Research Laboratory. He spent a total of eight years as a Navy medical officer, including two years at the Naval Blood Research Institute, three years at the National Naval Center/Naval Medical Research Institute, and three years as a clinical research associate at the Fred Hutchinson Cancer Institute, in Seattle, Washington. In 1987, Dr. Thompson joined the University of Michigan’s Department of Medicine. And in 1993, he was recruited by University of Chicago as the first director of the Gwen Knapp Center for Lupus and Immunology Research and professor in the departments of medicine and molecular genetics and cell biology. In addition, from 1989 through 1993, Dr. Thompson was a Howard Hughes Medical Institute (HHMI) associate investigator, and an HHMI investigator from 1993 to 1999. Dr. Thompson is a board-certified internist and medical oncologist, and has extensive research experience in cancer, immunology, and translational medicine. In 2003, he was elected to the Institute of Medicine and in 2005 was elected to the National Academy of Sciences. He currently serves as chair of the HHMI Medical Advisory Board. He is also a member of the Board of Directors of the Association of American Cancer Institutes and the American Association for Cancer Research, and is a member of the Lasker Prize Jury. Dr. Thompson has been a member of the advisory boards of several cancer centers including St. Jude Children’s Research Hospital and the University of Texas MD Anderson Cancer Center. Dr. Thompson and his wife, Tullia Lindsten, MD, PhD, have two children.